Is the 8GB of storage in Amazon's $50 Fire tablet not enough? Then I have some good news for you. It may have slipped under your radar thanks to the news about the new Kindles, but earlier this week Amazon released a new version of its budget Fire tablet. The new Fire tablet features all the same great performance of the existing tablet, only with twice the internal storage. The new Fire tablet costs $69, and comes with a nominal 16GB of internal storage to compliment its microSD card slot. I'm not sure why anyone would need that much storage, given that we can also add a 32GB card for far less than the $20 added to the price, but at least now we have another option. Seriously, in all the time I've had Fire tablets, I've never run out of space (the same goes for most of the Android tablets I've tested). Even when I took advantage of the option to download Prime Instant videos, I still never reached the limits of the storage. But then again, I don't have kids, and I don't load and watch many videos on my tablet. This update is a sign of just how important videos have become to Amazon's platform. For years 8GB or 16Gb was enough, and then Amazon had to add a card slot to meet consumer demands. 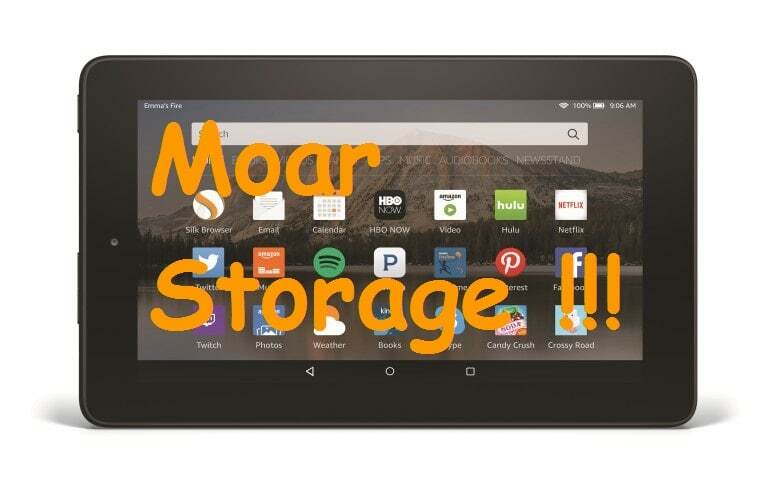 And now that still isn't enough, so Amazon has increased the storage found on their cheapest tablet. Do you plan to upgrade? You can easily fill up 8g (really 4g or so available) just with misc apps, nothing huge. I could use that extra 8gb, though I don’t know that I’ll buy another Fire tablet for it. Some apps, Doggcatcher for one, seem to have trouble writing to the microSD card. That’s one of my mainstays, and the extra space would sure be nice!